Pole vaulter Steve Lewis believes the standard in the sport is as high as it has ever been in Great Britain, particularly in the women's event. Holly Bleasdale recently smashed the British female indoor record and became the second highest vaulter ever. Lewis told BBC Radio Stoke: "Behind Holly, there's Katie Byres, who is a junior, and Kate Dennison that have jumped the Olympic 'A' standard." "We've got good depth. It seems like the event is growing in the UK." 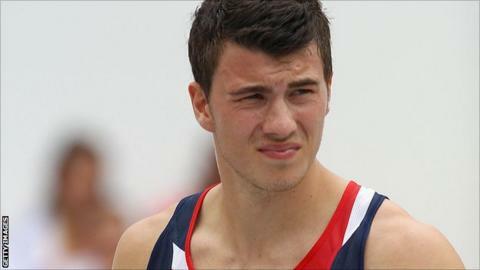 Stoke-on-Trent-born Lewis, 25, is a possible contender for an Olympic medal at London 2012. He won a Commonwealth bronze in Melbourne as a 19-year-old in 2006 and followed up that success with a silver medal in 2010. In that event, he finished just ahead of fellow Englishman Max Eaves, who claimed a bronze medal in Delhi. Lewis has also qualified for the last two World Championship finals and he believes his form is good enough for him to contend for a medal in London. "Things are going really well at the moment," he added. "I've just had a great weekend in France, where I got the 'A' standard for the Olympic Games and the 'A' standard for the World Indoor Championships. "I'm in good shape, I'm healthy and I'm super happy with where I'm at. "If you look at the history and heights that have won medals at previous Olympics, 5.70m won a medal in Beijing. "I think it's about finding the performance to suit the day and I don't see any reason why I can't be shooting for medals in London. I think that would be a realistic goal. "I've got a great coach, great support and a good network of people around me. I just hope things can come together."